We want to thank you for showing us your interest and support and we are happy to announce you that from today on you can buy the original numbered and signed prints of our works, in different sizes, from our new online shop! Don't hesitate to contact us for further information and questions!! e annunciarvi che da oggi potete acquistare le stampe ufficiali -numerate e autografate- dei nostri disegni, direttamente dal nuovissimo negozio online che trovate nella barra a destra ;)! Se avete richieste particolari, domande o dubbi... non esitate a contattarci!! lovely illustrations, congrats on your shop! 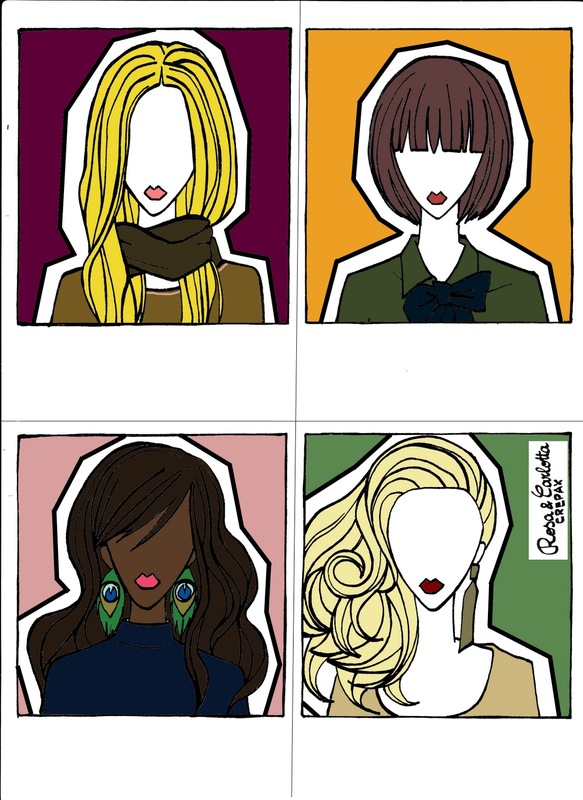 Wow, beautiful illustrations :) Like your blog, hope you will become a follower of my blog too? Oooh,my God!! !Siete adorabili! !Sono diventata "FOLLOWER" immediatamente!! !Spero un giorno anche voi di me!! Wow I'm so in love with all the drawings and great you opened your own webshop now :D I will definetely check it out! Sempre bello il vostro blog, complimenti! cool! i love the polaroids. Amazing blog, your illustrations are awesome! congratulations!! going to check it out now!! i love all of your illustrations.you are great!! p/s: thanks for the sweet comment! Available in USD for Americans? I'd love to have a piece! Wow, these are fabulous! I love the clean style and colors. And the Eiffel Tower is great! @bella Sinclair When I was drawing it, I felt so nostalgic about Paris!! I do love the third portrait! 'Cause of the peacock feathers!! !